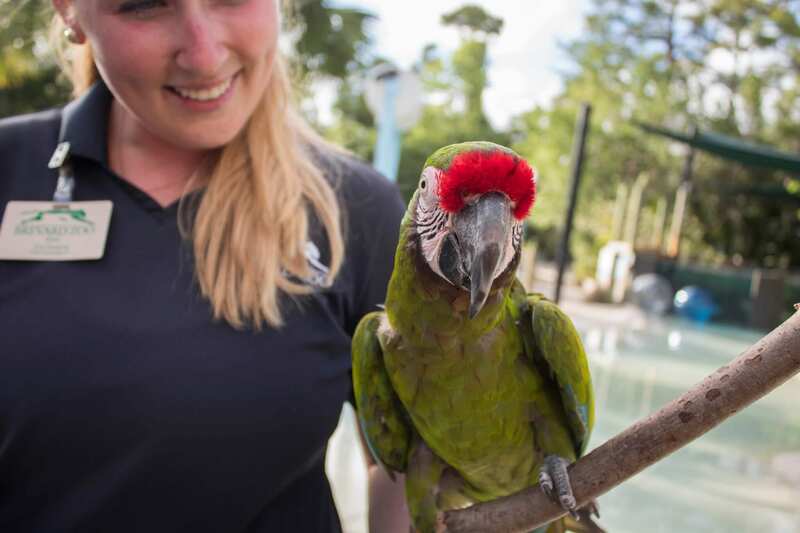 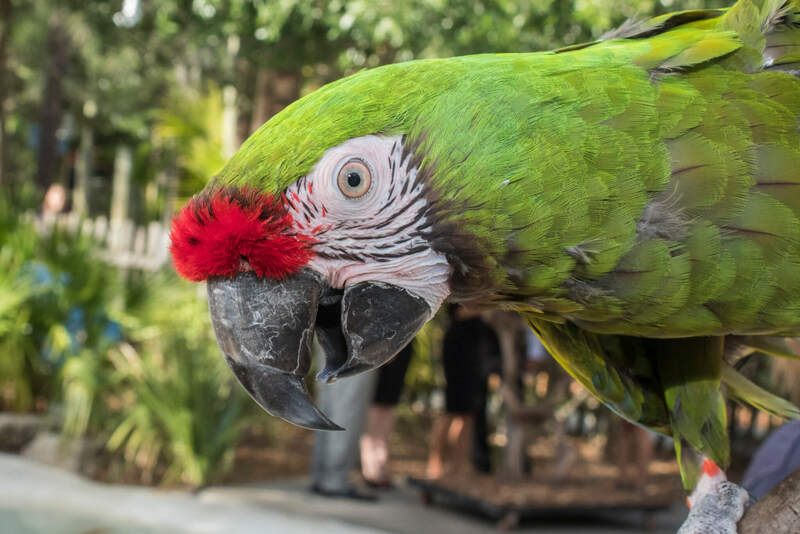 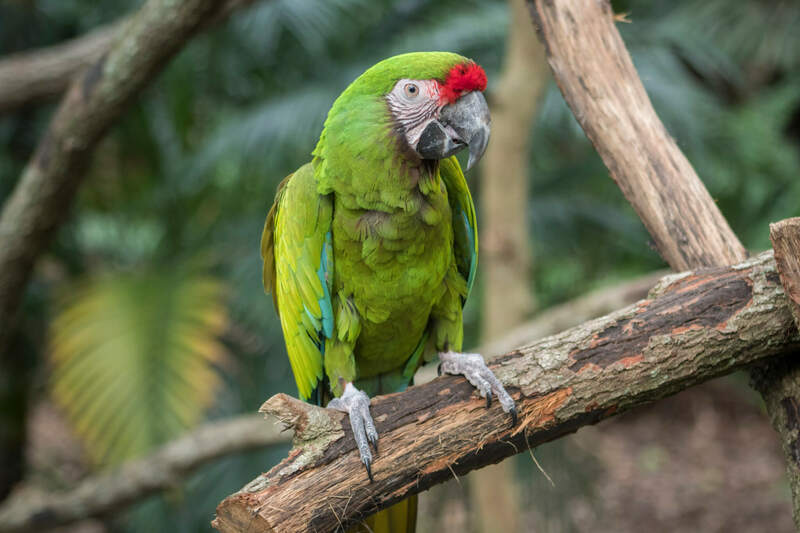 Military macaws get their name from their green plumage covering their body, red head and black beak, resembling a military uniform. 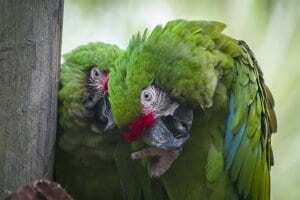 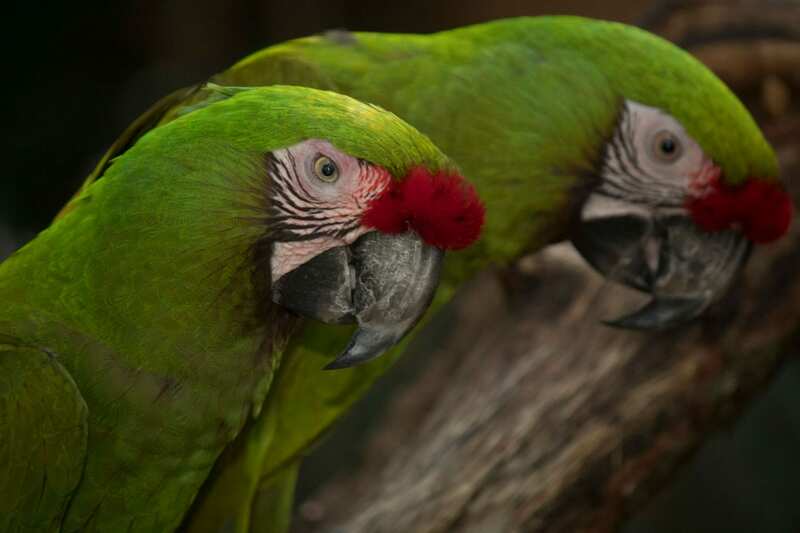 Military macaws are usually found in pairs or small flocks of up to ten birds. 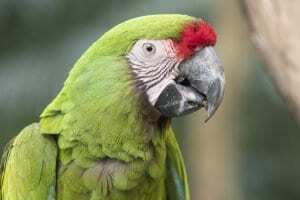 They nest high up on cliffs or near the tops of trees. The main decline in wild populations of these birds is due to capturing for the pet trade.